On your mark, get set … GROW! If installing new turf grass is on your 2016 gardening agenda, it’s smart to get a head start. Proper site and soil preparation, before you do any planting, will make it easier for new grass to establish itself. You’ll get a healthier, more trouble-free lawn. Don’t procrastinate until spring when the urge to see “instant green” may tempt you to skip a few of these steps. 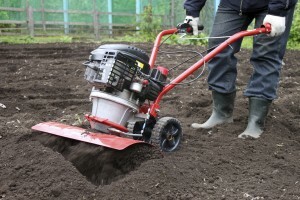 A tiller will be helpful when preparing to install your new sod. Not only will it improve soil compaction and water penetration, a tiller will also prevent most annual weeds. Clear the site. Remove any debris larger than two or three inches, including rocks, stumps and building materials. Rough grade the area. Slope away from your foundation and fill in low-lying areas. This will help eliminate drainage problems. You can use hand tools for smaller areas but you might need a tractor-mounted box blade for larger ones. Discard any larger debris that is uncovered. Till the soil at least two inches deep. Tillers are the unsung heroes of gardening tools. A good tilling improves subsoil compaction, enables the topsoil and subsoil to bond with one another, improves water and root penetration, and (you’ll love this one): It will control most annual weeds. Add topsoil to achieve a total depth of four to six inches. Use whichever type of loamy sand is best suited for your area. That may be clay, silt, sandy or perhaps some combination. Loam is good at holding water and nutrients close to the roots, but it’s not so compacted that it restricts root growth. Conduct a soil test. Your lawn will need a ready supply of nutrients, in the right proportions, to grow well. A soil test will reveal any nutrient deficiencies. It may also recommend that you correct the soil’s pH level. 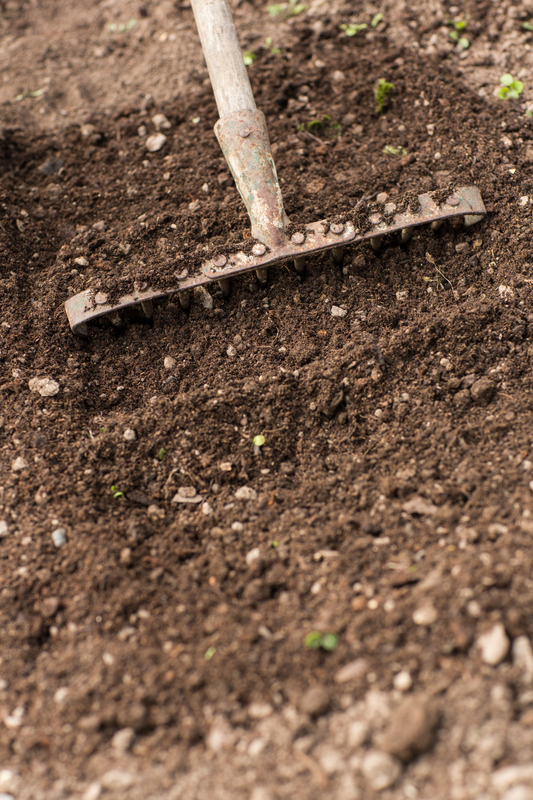 After applying topsoil and fertilizer, smooth the area using a heavy rake. Add amendments and fertilizer. Most every soil will need improvements. Work the recommended nutrients into the top three to four inches of soil. Add lime to acidic soils (pH of 6 and below), and sulfur or gypsum to alkaline soils (pH of 7.6 or higher). Always ask a reliable turf professional for recommendations before adjusting the pH. Then apply a high-phosphorus fertilizer (phosphorus is the middle number on the bag’s label). Finish grade. Smooth the entire site, using either a heavy rake or a tractor-mounted box blade. Roll the area. Use a lawn roller about one third full of water to settle the surface. Watch for low spots where water might settle. Do some additional grading, if necessary. Proper site and soil preparation will enable your turf grass to grow more densely and evenly. It will also reduce your need for fertilizer and water. And you’ll save additional time and money because a dense lawn will also be more resistant to insects, diseases and weeds.